Teaching kids is not the same as educating adults. The curriculum may be similar, but the adults have special requirements and needs. Since you cannot treat an adult student the same way you would a child student, it calls that you must pay particular attention in how you deliver your curriculum to the adult learner. In a recent study over 45% of the working adults, aged between 25 – 64 years took place in either formal or informal training. It can be tricky for a teacher in a learning institution that caters for adults, especially if the students are older than they are. Many parameters will need to go into the teaching of the class such as striking a balance between reprimanding and giving the necessary respect. Adults have more things occupying their minds than children do and so if they are taking a class, it is after coming to a conclusion that their time is better utilized studying. As a teacher, it can be easy to slack off when dealing with children every occasionally, but it is important to keep the lessons as relevant as possible. During the periods of downtime in between lessons, try to keep in mind the demographic and be as relevant as possible as to what they care about to discuss. As one grows older, it becomes much harder to ask questions to avoid feelings of humiliation. When teaching adults, be persistent and encourage them to ask questions whenever either of your adult students fails to understand a concept. Other time, the adults may not know the class protocol, and it is necessary to frequently ask, “Does anybody here in the class have any questions?” this will get them to open up and feel comfortable. It will also deepen their understanding. You will hardly find older teachers teaching adults, mostly younger people are the teachers. Age may rear its ugly head when it comes to correcting a student since they might feel disrespected when corrected in front of the other students. You ought to learn ways of passing out corrections without coming across as patronizing. 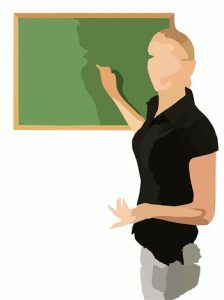 Some teachers have found success in using non-verbal methods to correct an error made in a classroom session. In conclusion, as a teacher with adult students, it is important to be flexible. It is common that, you must have a work plan to guide you in teaching the class. However, a hard task is sticking to the scheme with adult students. Try to be flexible with each class since the students may veer off the set path but be firm to enforce the goals of the course and the timelines. Slot into your work plan some free time to allow your students to have discussions of what they have learned and to support each other. ← How To Find The Best Car Electrician?